Coming to Kyoto in May or June? Then you have to check out these events that bring out the best of Kyoto! Right now when I'm writing this it’s the cherry blossom season in Kyoto, but soon it will end, and the summer will truly begin, and Kyoto will start getting hot. But worry not, great events keep on coming so check out our list below of the best ones! 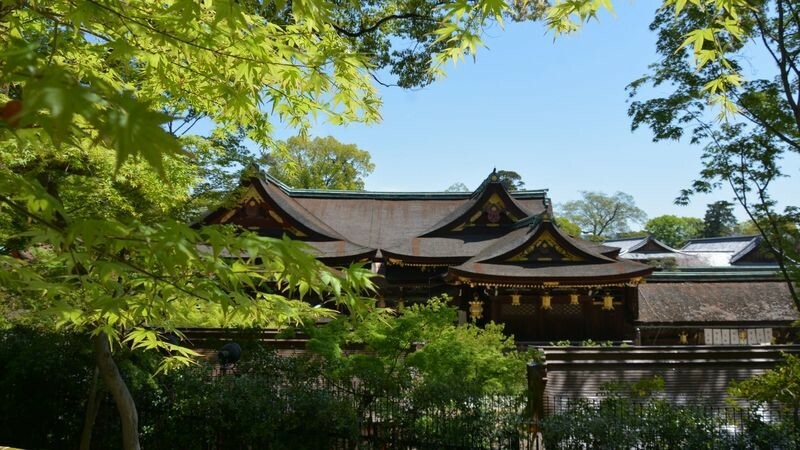 The Aomomiji Festival at Kitano Tenmangu is a perfect event for Kyoto because just after the cherry blossom season you may be wondering what to do, but this event gives you a chance to see the beautiful greenery of the ancient capital. With the entrance fee you will also get to see the Treasure House and the samurai swords and suits of armor inside it, so this event is also something that has a lot for you to enjoy. This famous event of horseback archery mastery takes place every year before the Aoi Matsuri in May at Shimogamo Shrine. 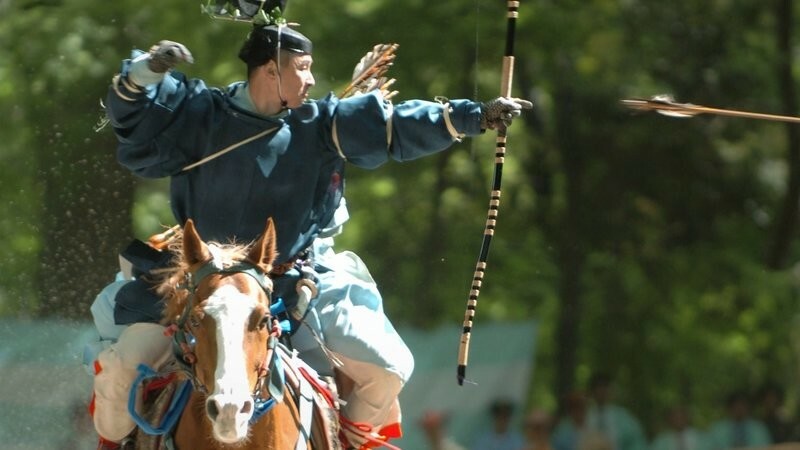 The sight of archers shooting their arrows from the back of a galloping horse is a sight you won’t easily forget. The access to the event is really easy as it’s held in Shimogamo Shrine, but just remember to go early to get good seats, as this is a really popular event with many people coming from all over. The Kyoto Grand Antique Fair is held every March, June, and October, and it’s a great event to visit if you have even the slightest interest in antiques. They sell almost everything, from huge Japanese golden screens to French porcelain. There is even a small cafeteria space where you can have noodles if you get tired from viewing all the antiques. 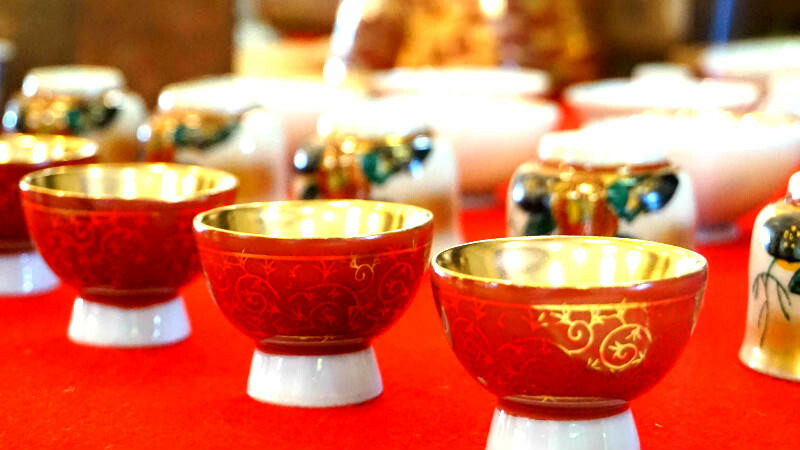 A cup of piping hot udon with some great dashi broth, and some antique treasure hunting, what more could you ask? The Kifune Festival is a lively festival held at the hall of the God of Water on June 1. At Kifune Shrine in northern Kyoto you can enjoy the traditional Japanese music and a dance offering to the gods, and the dance is different every year so you won’t get bored even if you go every year! 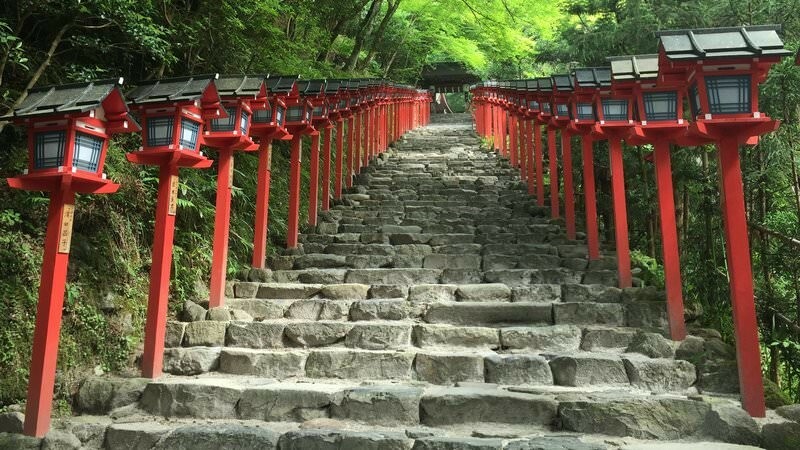 The shrine is of course most famous for the red lanterns lining the stairs up to it, and during this festival a portable shrine is carried up these stairs. Carrying the portable shrine up the stairs must be a demanding task, especially since the weather in Kyoto starts to get really hot around this time. So now the only question remaining is, which one are you going to? All of them look interesting, but maybe the most special one is the last one, Kifune Festival. The dancers wearing dragon masks breathing fire are something one just need to see at least once in one’s lifetime.